Our staff promotes social and personal growth related to self-esteem, communication, and confidence. With enthusiasm and encouragement, our staff stress effort, improvement, and achievement. Matoaka becomes a safe place for a camper to challenger herself, and grow individually and as part of a team. In activities of a competitive nature, a spirit of friendly competition is emphasized rather than winning, so campers of all abilities can participate freely. In every team or individual sport and in every activity, we stress effort, improvement, and achievement through staff encouragement, expert instruction and weekly rewards for accomplishment. Taking risks and making mistakes are essential learning experiences, and the key to a child’s development into a healthy, independent and functioning adult. What’s important is having an understanding of what is safe in terms of risk-taking, and what risky behavior can constitute a lack of safety. 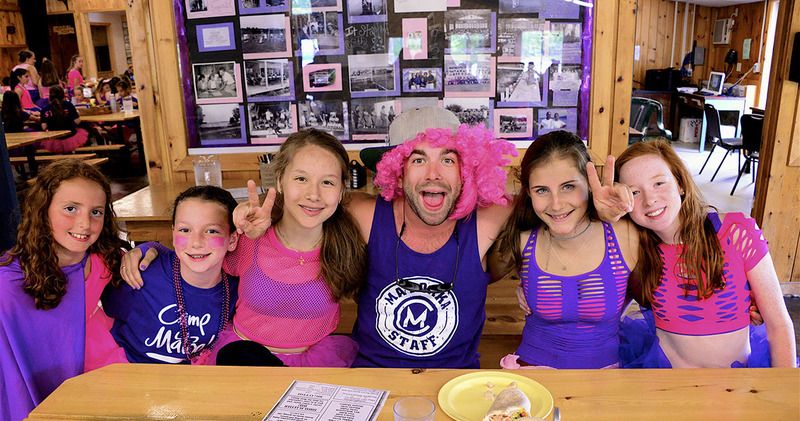 Camp Matoaka focuses on building a supportive and inclusive environment. Our goal is to create a place where both campers and staff can grow and learn from each other to find their best self. Ready To Create Mataoka Magic?